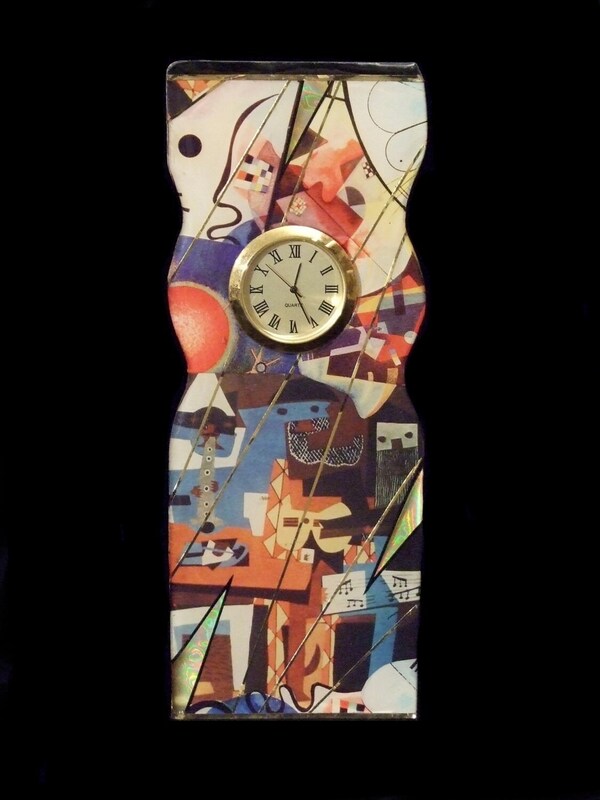 This unique clock is made of fiberglass and inlaid images featuring the work of Picasso and Kandinsky! The Three Musicians is a synthetic cubist painting finished by Picasso in the 1920s! This piece is perfect to add a pop of color to any room! Also great as a gift for any occasion!